Welcome back to another episode. My name is Aaron Doughty and today we're going to be speaking about something I think will totally transform your life. This is something that actually I've been thinking about lately and it's a story. It's a story. It's a journey that I want to take you on that I think after you go through the store and you hear what I'm about to share with you, I think it may totally transform your life. I really believe that. I don't want to say that a lot because one, that's my intention is to help people transform their consciousness. However, I really believe that this is what I'm about to share with you, something that when I realized that changed my perception of life in general and it made me relate to things in a completely new way. And this is the story of our higher self, the story of who we really are, the story of higher dimensions, understanding who we are at a greater level. Because the truth is, is who we are in this life, who we think we are is an ego structure, who we think we are. It's kind of like an Avatar, kind of like an Avatar-like you might have in a video game where you're playing a video game for a certain period of time. The thing is, is when we're here on earth, sometimes we start to identify with our Avatar really. We started to look at our hands, appears very real. We're interpreting our reality through our five senses. And we have these experiences where we just think that we actually are our avatars. And I think one of the purposes of life is for us to remember that our Avatar isn't who we are. It's just that we are using our avatar for a period of time on earth. And when we start to have that realization, a lot of things begin to change in life. What I'm going to be sharing with you is this story, the story of how that came to be, the story of understanding who you really are. And all these other emotions. But in actuality, those feel like negative emotions because they're far from who we are, how we are relating, and the how we are thinking is out of alignment with the true self of who we are. Allow ourselves to let go of what doesn't serve. And as we do, we naturally raise our vibration. This is about knowing that we can start to just allow ourselves to let go of what doesn't serve. And as we do, we naturally raise our vibration. Imagine that once upon a time you and I and many other souls, we're chilling, just chilling and the higher dimensions. In the higher dimensions, there was more ability for us to do what we want. 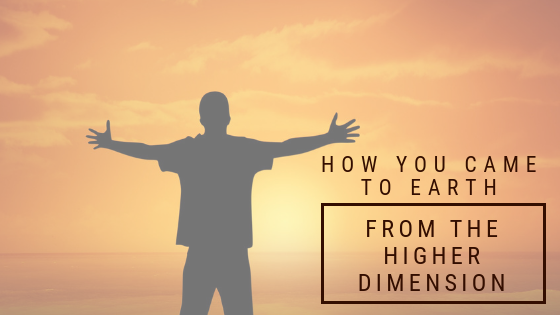 When we want to do it, and the higher dimensions, we can instantly think of something and instantly experience it. We are not bound by time and space. When the higher dimensions there we are, we are chilling with each other, we can exist in many different places other than one place at the same time because we're not bound by time and space. We understand that we're all connected. When we think of something, it instantly appears and we exist in this high vibrational bliss and we exist and we're having a great time. However, after a couple of thousand years, we started to realize that, hey, maybe we want a little bit more challenge. This is fun and all, but it almost seems too easy. It's kind of like having a video, playing a video game and having all the cheat codes to where you could just dominate and there is no challenge whatsoever. Eventually, you get kind of get bored. One thing that we decided to do as we said, okay, this is a lot of fun and this is who I naturally am, but let's make it a little bit more challenging. What if we made this place made earth as one of the places or maybe many different realities. Systems in the universe will make this place called Earth and on this planet, we're going to have time and space and instead of things manifesting instantly, we're going to have the physical reality experience be that things happen in experience as if they are linear experiences. If there's this past, present future so that we can really soak in a certain type of experiences so that we can start to learn more about who we really are and it'll give us time and it'll give us this stretch out experience where we could learn more and what if when we're born at this place that we forget who we are. We don't have this remembrance. There's this veil of forgetfulness because then it makes the game that much more real because then it makes it more of an experience because if we remember it, maybe then we won't really take it so seriously and maybe what we'll do is we'll split off and many different people and instead of just us knowing that we are one large consciousness that's all connected. We'll play this game of separation. Well, we're going to think and we're going to imagine that we are separate from everyone else. Okay, and we're going to play this game because part of the fun of the game is remembering who we are in us all coming together to help to transform ourselves from the inside out and by doing this we are going to learn more quickly than ever. We're going to prove to ourselves and challenge ourselves and know that we can accomplish this. Then we can accomplish anything and that's the kind of experience that we're going to have this illusion of separation and some of us are even going to play certain roles, so maybe some of the people in your life that you perceive to be not so friendly to you or me to be a people that you seem to be the and enemy. You think of them as their enemy. Maybe at a certain level from a higher dimensional perspective. We said, hey, let's play certain roles so that we can learn compassion so that we can learn how to forgive. Maybe we decided that we're going to come from these higher dimensions into this earth realm and we're going to learn these lessons so that we can learn how to forgive. We can learn these different emotions because in the higher dimensions we just mainly experienced higher vibrational emotions. What if we put in this earth reality, we put some of the lower emotions that we have to learn how to transcend. We had to learn how to let go so that we can understand that we are naturally enlightened, and what if this story that I am telling you right now is not actually fiction? What if it's actually closer to the true reality? What if had a greater level? You are unconditional love and bliss. You're simply logged into this game of life, forgetting who you are so that you can remember and go through these life experiences and remember who you are. What if in this reality right now we experience life through the five senses. We can hear, taste, touch, see, smell, all of these different senses, but what if all of these different senses are just interpretations of vibration? And what if a higher state of consciousness, you are so much more than you can even imagine, and what if every single night when you think you're going to bed, you're actually waking up in higher states of consciousness, but your brain doesn't have any reference experiences for understanding it. All it does is it gives you these dreams. It gives you these dreams of I was with Sally yesterday and this person from my old high school and we were talking about this and we were in this weird environment and that was my dream, Huh? That was interesting, but in actuality, you may have been doing so much more. It was simply that you are given that symbolic form of something for maybe some type of lesson or maybe that was your subconscious mind's interpretation of what actually happened, but what if the into higher dimensions you do things that your brain couldn't even interpret. So, what? What could you even get that would be representative of that? And what if even when you go to bed at night, it wouldn't be that relevant for you to remember what you're doing in the higher dimensions. Because if you knew that you were unconditional love and bliss and you were to wake up here in lesser good feeling emotions, then you may not want to be here. Maybe it's not even relevant for you to know, but what if in this life experience right now, we have all decided to start waking up like popcorn collectively? One kernel goes off; another colonel goes off, another colonel goes off, pop, pop, pop. We keep popping in realizing who we really are. We realized that we are immortal. We realized that this is just a temporary human experience at Earth, in general, is a beautiful place to be. It's like the melting pot of the universe where there's much different diversity of different type of animals, different types of plants and trees. You ever look at plants, animals. I'm looking out my front yard right now and I see about eight to 10 different birds in my grass under this tree with these purple leaves, eating and pecking at the ground. You ever think about how beautiful that is? Things like that, the simplicity of it, because from a higher dimensional perspective, all of these things were the first pro thought into for them to exist and higher dimensions. We were like, look at this symbolic thing. Maybe as meaning, maybe it doesn't. Maybe it's just beautiful because it is, but trees, in general, were first thought of before they were brought into this reality system, so you see these trees have certain colors and the diversity of it is amazing. I've got a Rosebush in my backyard. I was looking at the Rose Bush the other day, how beautiful the roses are, and there are these thorns on the rose Bush and he's throwing his hurt when you touch it, and it's a beautiful metaphor. The bittersweet, this of a rose of a Rosebush, and when you look at that, you realize that it from a higher dimensional perspective, we've decided and we've brought that into this physical reality because it is beautiful. It is a metaphor, and in the same way, many things in our life that we look around at, everything was first thought of before it was brought into this reality system. Man or woman may have created some things. Maybe we have, you know, we create this home looking out my front door to see houses in front of me that were made from concrete, which are different elements in this reality system that we've used in order to create that have shelter and we have these plants that are more organic, more natural and at a certain level from a higher dimensional state of consciousness. We've brought those here. The idea, the thought of it. Even if even if we say, oh, well it's been here on earth this whole time. Well, it was first thought of for it to be planted, the seed of thought that ended up creating it and thinking how beautiful that is that everything here was first off thought of before it was actually put into this reality system and there's so much diversity here and it's so beautiful because of all this diversity. We have so many different types of animals. We have birds that fly, that uses the aerodynamics of flight. Then to be able to fly, we have that, have animals that are in the ocean, have water that to them, their whole reality is what water is. It's what it's how they breathe. For most of them, some of them can go back and forth, but in general, these, these different reality systems that we all exist in and these things that we experience in our life, well first thought of before they were here and it's a very beautiful thing, but understand that at a higher dimension. We first off thought of these things before they came and that's what allowed it to come into this reality system. That life in a way is a real system and what we're doing and what we're going through right now on the planet is a transformation, a transformation of consciousness. We're becoming more and more aware of who we are, like the kernels of popcorn kernels of corn that are popping, and it just starts off with one or two at a time. Back in the day, we'd say it'd be people like Buddha and Jesus. They were the kernels that went off a little bit earlier, but right now on the planet, it's a time of mass awakening. Maybe you look around right now and be like, what is he talking about? There's still the pain. There's still genocide that's happening in the world, but understand it doesn't take the whole entire planet to wake up for there to be transformation because the vibration may be a hundred people that exist in a higher state of consciousness, they can influence powerfully, that have millions of people that are in Lester states of consciousness because of the vibration. The frequency of the vibration and what is happening is right now more and more people are waking up and that is causing a ripple effect. Even if you look around the last political election, for example, more people will wait waking up like, what? Why is this what we're experiencing? People are waking up from the dream because the only way that we could influence the dream is from the inside out. Maybe earth was an experiment at first as this experiment. We come here on earth. We forget who we are. We have this certain experience. There's a lot of learning we could have in a short period of time, but then what happened is maybe there are certain forces that kind of made it go in a different direction. Started to become more about control. Greed to identified with the avatars that we live in too identified with our bodies and maybe what happened is that as an act of compassion, maybe you came back, I came back, we came back to remember this because the thing is it's not like we can just float out of a cloud and be like, we're going to change this reality. There's free will within certain reality systems, just like in this free will. The rule is that you have to incarnate into the system to change. It cannot change it just from the outside in because it goes against the free will of our society. It goes against the free will of the real system. What we've decided to do is to go through this remembrance and part of this remembrance was forgetting who we forget that we are unconditional love and bliss. in the popcorn analogy, I'm going to help other people to speed up their vibration to a level of heat to the pop, and in this pop, is the transformation going from a caterpillar into a butterfly and it's so much freer, so much more flexibility, so much more able to be the way we prefer to be, to have the freedom to fly around and that may be very well what life is. And right now, I believe that there is this transformation that's happening on the planet, that we have decided to come here. We've forgotten who we are, but now is the time of remembrance. And now we wrote remembering that this is who we are. We are unconditional love and bliss. We are of this higher vibrational state of consciousness. And it is time to remember that this is who we are and maybe you're listening to me right now and maybe some of this does resonate. Maybe some of it doesn't. Well, what I'm asking you to do is just go within and find out what's true for you and maybe at a deeper level. If you ask yourself, does this resonate? Maybe it does resonate. Maybe it resonates with your heart. Maybe it resonates with your core and maybe not either way. Find out what is true for you because in this reality that we live in, what we believe to be true is always reflected back to us. And when we start to drop our beliefs is when we begin to raise our vibration really and as we drop these beliefs where you become more in alignment with who we naturally are, things in our life begin to change in a very powerful way. Moving forward in our life, I believe that over the next 10, 15, 20 years, 50 years, things are radically going to change because we're understanding more of who we are. 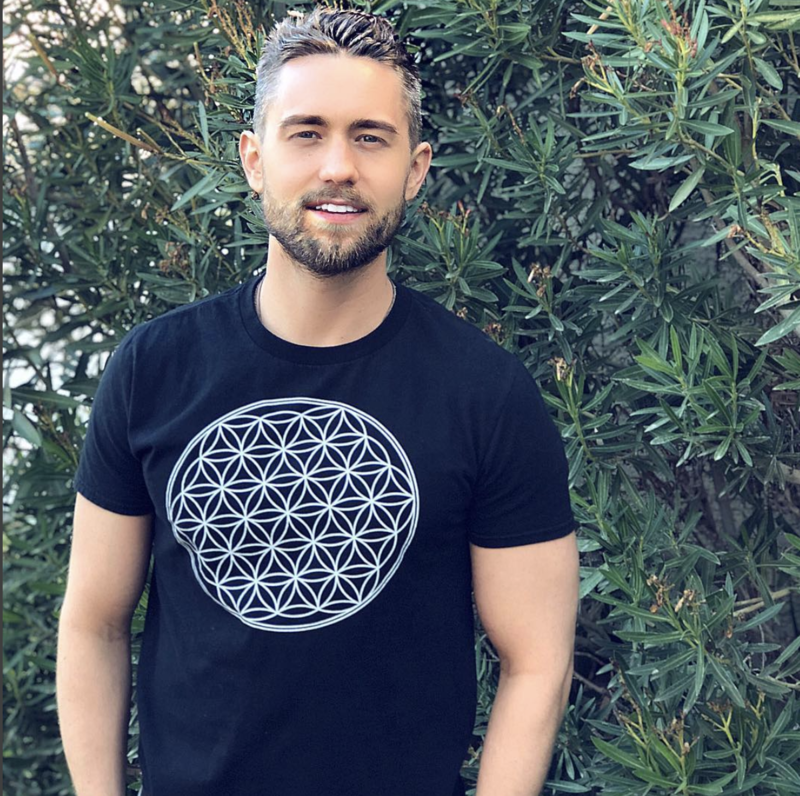 We are understanding that we have the power to direct our lives in a powerful way that when many people are focused on one timeline, when many people are focused on one positive outcome, that influences reality in general, and that's what we're going through right now is this transformation. We're realizing some of the old stuff's falling away may look around and be like, well, the government's falling apart. That's part of the game. That's part of the system. You have to let go of what doesn't work. The old three d structures have to fall away so that then these new, higher vibration structures can be put into place. We have to first off, let go of what doesn't serve. That's what's happening right now. Just like this is one reality system. There are many other reality systems, could be reality systems on different planets and the thing is we think of them as separate, but guess what? You are immortal, spiritual, being limited, temporary human experience. You have not only lived lives and been in the real system of earth, how boring would that be to be here for infinite time and space? Just be in this one place. You've existed in many different reality systems, many different planets, many different abilities, and most of them are in higher dimensions. This is one of the hardest places to be as earth. It's also a very beautiful place to be because we're remembering who we are and if we can do it, if we can go through this much challenge to remember who we are, it shows it to other realities systems that they too can go through this challenge. They too can forget who they are and go through experiences remembering who they are and right now as a planet we're going through this together. We've decided is that we want to experience, we want to upgrade the system and here we are right now going through this and from this point going forward, there will be an acceleration of this awareness and acceleration of this experience. You may notice more and more synchronous in your life. Have you felt it? Have you felt that time has been sped up over the last 10, 15 years and especially the last few years? Even the last couple of months. Time is speeding up time, it doesn't even exist, but the experience of time is speeding up because our vibration is speeding up and over the next 10, 15, 20 years, it's going to keep happening. Things are going to keep happening and you're going to realize you're going to shed layers that no longer serve you going to be letting go of things that no longer serve, but the truth of the matter is it's all part of the plan. It's all part of this reality. Reality is a game that I've chosen to play, and I remember that reality is also like a dream, and now I'm becoming lucid in the dream and as I become lucid I could start to go more in the direction that I want and now there's an alarm clock going off in his alarm clock is awareness. This alarm clock is becoming aware. The US becoming aware that, hey, this is a dream. We have more flexibility than we thought we could influence the reality with our focus, with our thoughts, with our beliefs, and as we become more aware of all this, we start to transform ourselves from the inside out. It's a very empowering time and more and more people are becoming aware of this, so we're starting to take our power back as a collective. It has the vibration speeds up. You'll notice things fall out of your life, accept it, allow it to be allowed to fall away. People habits. They seem scary at times, but allow it to be there because it's all a part of the process. Understand that you are unconditional love and bliss. You exist in higher dimensions right now. You're simply dreaming, this is who you are in this life is about merging back with our higher self, merging back with who we really are, remembering this and then being lucid in the dream of life because it's meant to be fun. It's meant to be an experience. It's meant to be love. It's meant to for us to merge back with who we really are and all I am right now is an alarm clock. I'm just an alarm clock that is showing you who you really are helping you to remember that because this is all this information all exists within you and has this alarm clock goes off. You'd be more aware of it. You can continue to sleep through it if you want. You continue to pretend to be asleep, but from this point going forward, I think you're going to know this seed has been planted and from this point going forward, you're going to remember that everything you see was first off, thought of it as a projection from a higher level of consciousness and in this life you've come here to remember who you are and to reconnect to this higher dimensional version of you and for this point going forward, you are forever changed because it's the seed has been planted. Maybe you already knew this before. Maybe it's just allowing that seed to water and allowing that seed to grow, but from this point going forward, your whole life will feel different. Just because you were here today listening to this little monologue that I've created, it is the alarm clock is waking you up. You are now more aware. You were more lucid in the stream of life and from this point going forward, your life is forever changed. If you simply know that that will be your experience, so I want to congratulate you because you may be waking up before a lot of other people in your family. You may be waking up before a lot of other friends and the key is not to go and to necessarily shove it down their throat or to shake them awake violently. As much as it'd be great that they wake up, everyone's going to wake up on their own time. Some people on their iPhone or whatever phone they have will have five different alarm clocks set at 4:00, four, oh, 5:00 for 10:00, 4:15, all of these different times to wake them up and they'll sleep through each one and they'll choose to go back to sleep every single time. Right now, I'm one of those alarm clocks for you. Maybe you will eventually be an alarm clock for someone else, but the way that you do it is by living your example, by living in a higher vibrational state, by being who you are. That is the best way to act as an alarm clock for other people. If you shake them awake, they're going to be resentful, they're going to want more than ever to go back to sleep. Instead, just be lucid in your own dream. Be lose it in your own life, live the expression of how you prefer to be, and you will notice that from that place, people then begin to wake up naturally because the dream will seem obsolete. The dream will seem less relatable, less necessary. The way we create change in the world is by first creating change within ourselves. I encourage you to wake up and remember who you are. The alarm clock is going off. You are unconditional love and bliss. It's time to remember this time to wake up as your higher-self time to remember. They are certain appointments you've made. Maybe there are certain things you've experienced has been painful in the past, but maybe you made those appointments from a higher state of consciousness and maybe just maybe it's time to integrate it, allow it to be there, and then you will transform from the inside out. The alarm clock is going off. It's time to wake up. Good morning, so I hope you enjoyed this episode today. If you liked it, can you let me know? It's a little bit different than normal. Kind of like a theatrical type podcast episode. If you liked it, can you comment on my newest Instagram posts and let me know so that I can see it and if so I'll do more like this ad. A lot of fun actually making this one. I didn't. I just kind of sat down. I was like, I'm going to make this story thing and make it a little bit more theatrical and let me know what you think of it because if you like it, I'll do more and I just comment on my newest Instagram post. Other than that, I want to thank you for being here. I hope you enjoyed this and also there's something called the shift experience that's coming out next couple months with Aaron Doughty. This will help us to remember who we are and to wake up at this higher vibrational state of consciousness and to kind of remember this game of life is living as our avatar and it's about a transformation.